A serious crash on Doncaster Road in Barnsley is causing major delays this evening. 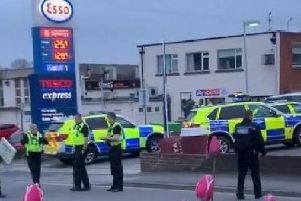 South Yorkshire Police said the road remains closed in both directors and drivers are being advised to avoid the area. Police were not able to say at this stage whether anyone had been injured in the collision, which is understood to have happened at about 3.30pm. Stagecoach Yorkshire advised motorists to expect 'severe delays' to bus services in the area. It said services 6, X19, 219/a and X20 were running via Hunningly Close, Bank End Road and Sheffield Road, while bus numbers 22X, 218, 222, 226 were being diverted via Grange Lane and Pontefract Road.